Personal Trainers & gym managers. 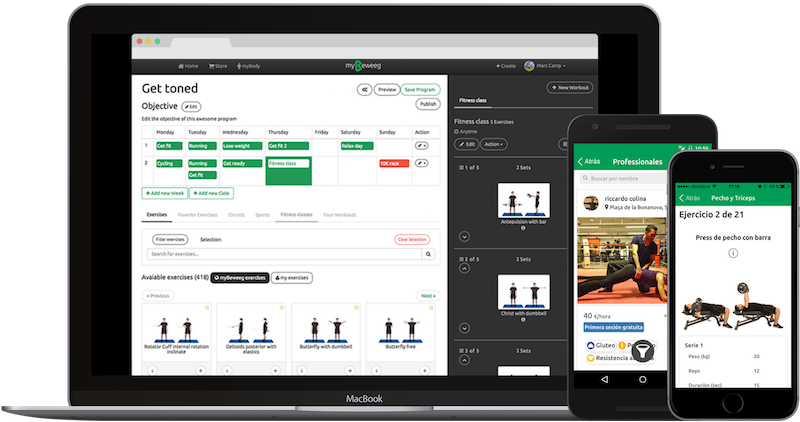 A personal trainer tool for managing your clients and workouts. 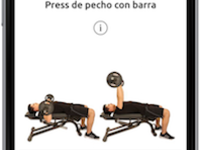 App for iOS and Android with an online workout editor. In English, Spanish, Catalan and French. 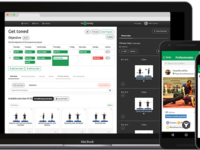 Create & share workouts with your customers. Become visible within the network with your professional profile. 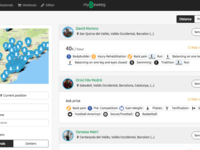 Sell your workouts online and share them on the social networks. Book your customers. Send workouts to your customers via app, mail, paper, sms or whatsapp. Get your PT Custom App. Chat and notifications in real time. Pros: You can upload your images and videos. Cons: I like it so much! Overall: It's a easy software to work with other people! You can use the images and videos that MyBeweeg propose or you can create your own videos! It's an easy an amazing tool! Pros: Easy to use, everything is ok with the software, never fins any bug or similar, is a nice web. Other thing that I like from MeBeWeeg program is that idea of offer to the trainers the possibility to have an schedule to help to maintain all the clients or customers satisfied with the service. Cons: So many things to do, sometimes is hard to find things what you search, but only a few times. Other thing I don't like ara the videos, I prefer to load my own videos to show mi customers how to do some exercises. Pros: It's very Smart. I like the workout editor and the Store. Also I can get my custom App. 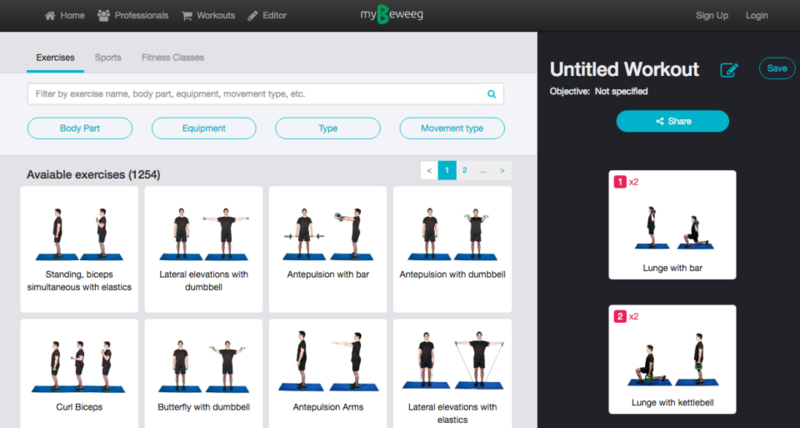 Overall: I'm Personal Trainer in Caldea, mybeweeg is very smart solution for PT and customers. In the workouts editor you have photos and videos, and it's run with whatsapp. Also I can book my customers with de App, I'm saving time. In the market place, the mybeweeg store also I can promote me selling workouts. Overall: Easy to use, excellent tool to contact professional trainers and have varied routines with exercises for the whole body. 100 % recomendable and personalized to the needs of each user which allows you to take you to your best physical level. Pros: This is an awesome app, that helped me a lot to achieve my fitness goals. It is easy and useful. I love it. Cons: It may take a while to get used to the program but as soon as you get it it is easy and very useful. Take your time to try it! Very good app, super easy to use and excellent content! Pros: I'm very happy with the software, it's a very useful app. It's easy to set up and customers are very happy with it. Cons: Obviously it's impossible to record all the existent exercices, but they're doing a great job and i'm sure within a few months everything will be uploaded. 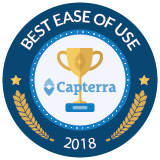 Pros: The ease of interecuting with other users. Very easy to use and very intuitive. Does not give problems the system. My experience with myBeweeg is very satisfactory, because it has fulfilled my expectations. Pros: I really like the workout creator. It is very easy to use and you can modify each workout in a moment. 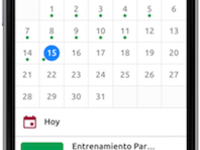 Cons: I would like customers will see their updated anthropometric data, and that they could synchronize their appointments Google Calendar. Comments: MyBeweeg are great specialists in personal training. They get in touch many areas of professionals so they can share their experiencies and routines. Anyone looking for a trainer, can be found here. The system of training routines is great too.